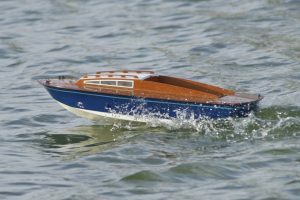 Fairey Huntsman; model: Alan Bond. The Fairey Huntsman was built in 28′ and 31′ versions. 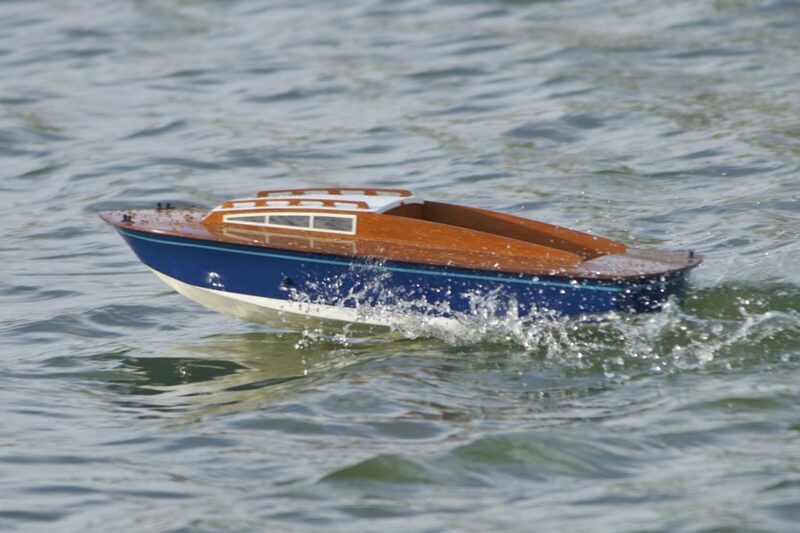 The first 28′ version was bought by Billy Butlin in late 1960; eventually 119 were to be built. 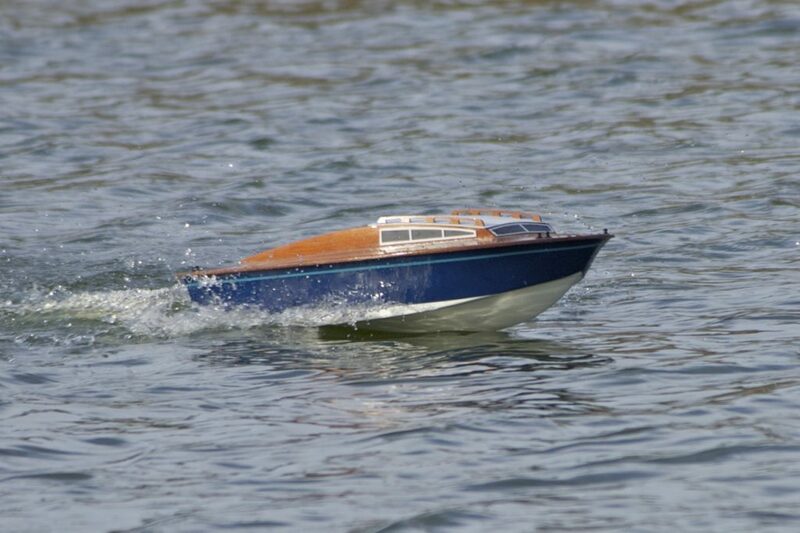 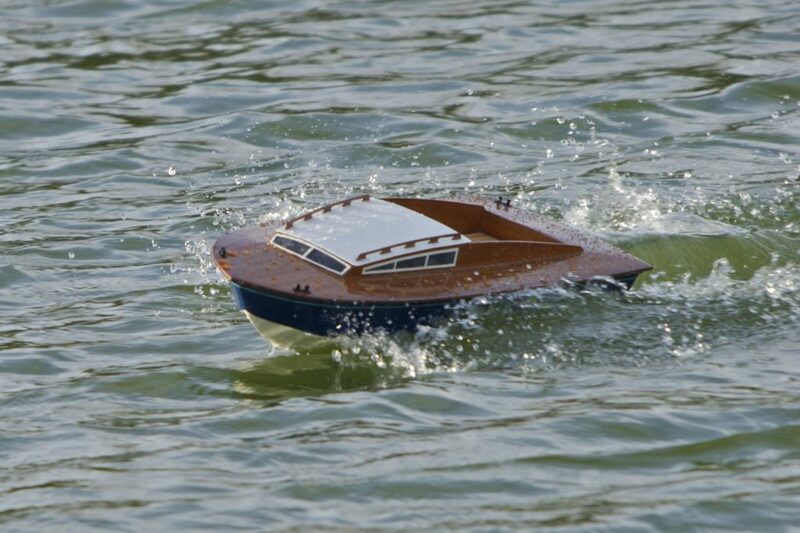 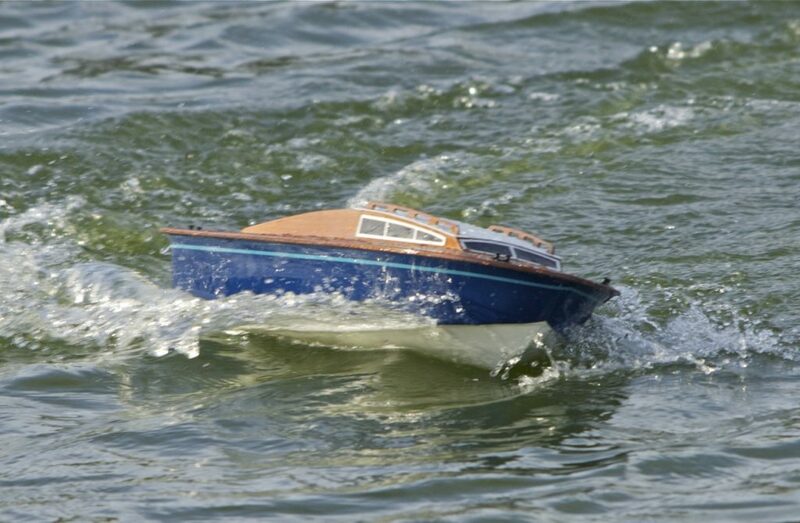 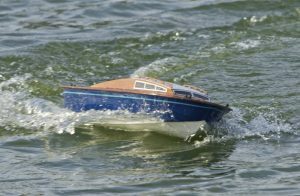 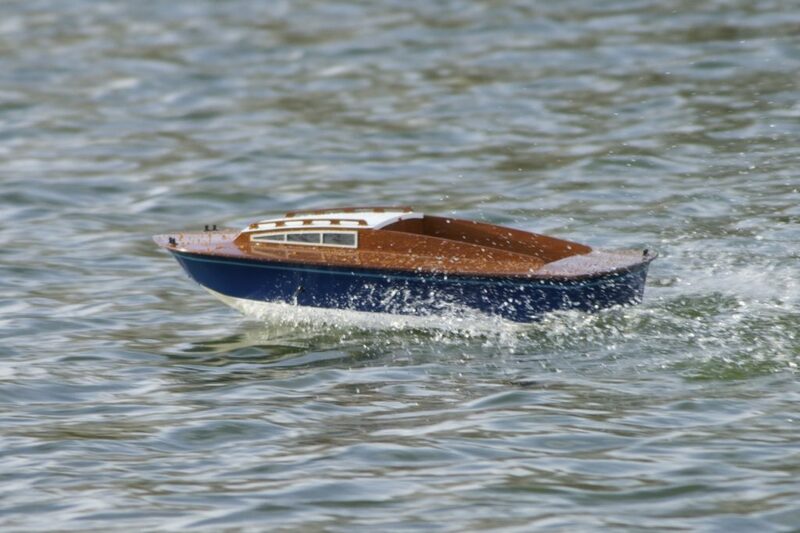 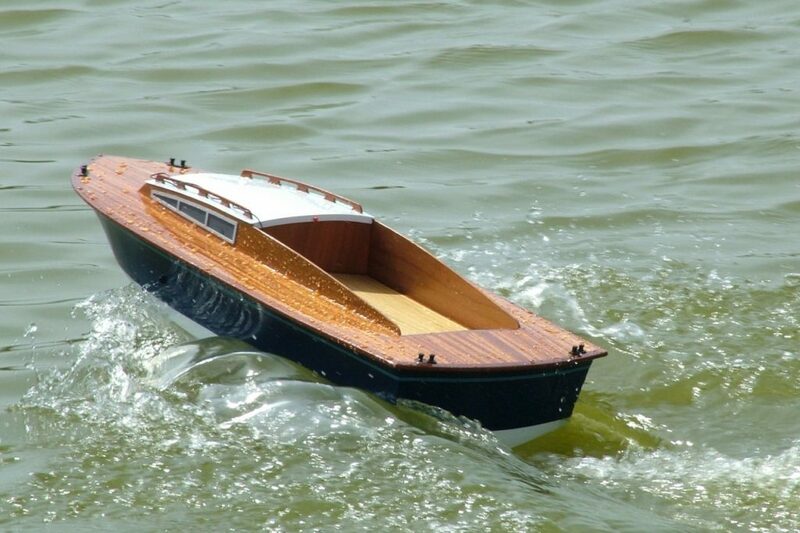 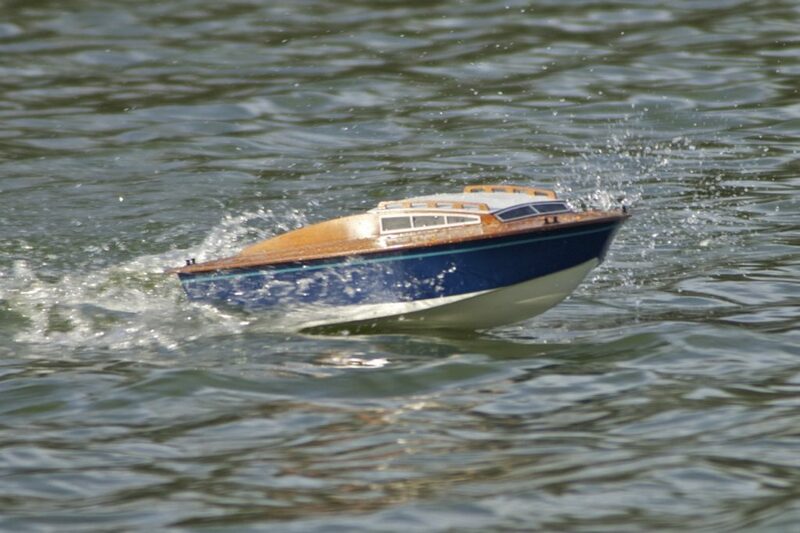 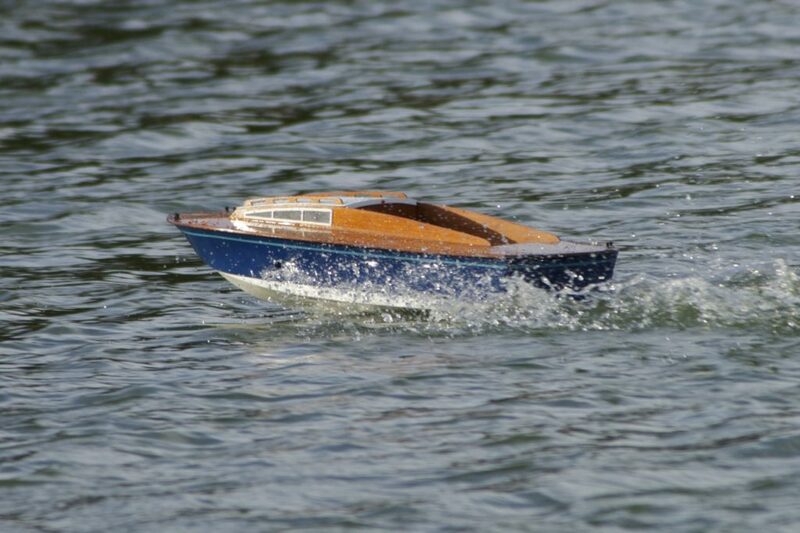 The 31′ version was produced in 1967 because the 28′ version tended to be wet in heavy seas. Two versions were offered by Faireys, one with an aft cabin and one with an open cockpit. 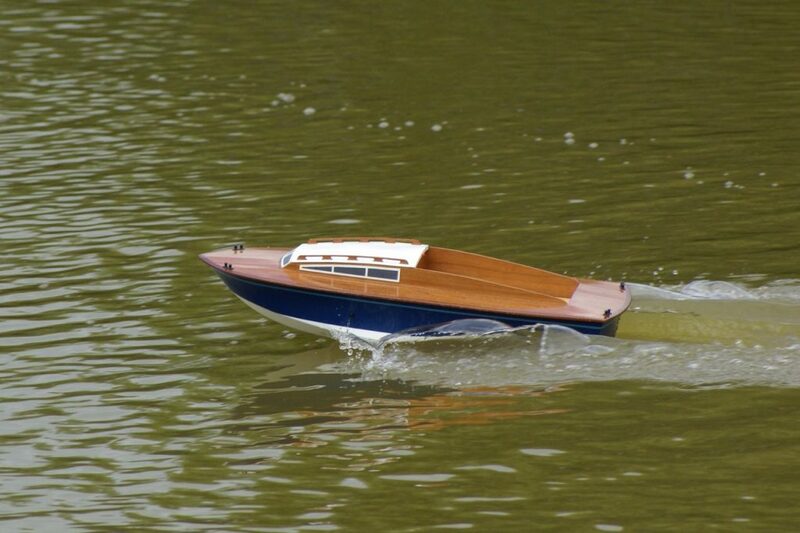 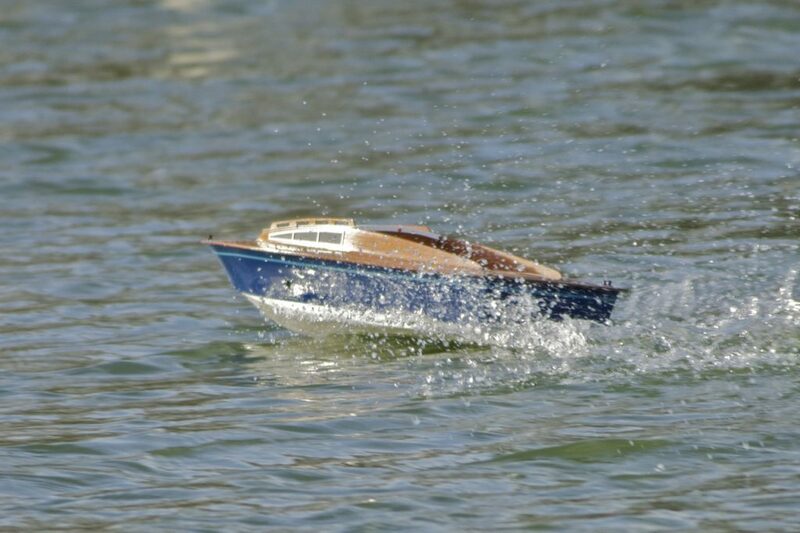 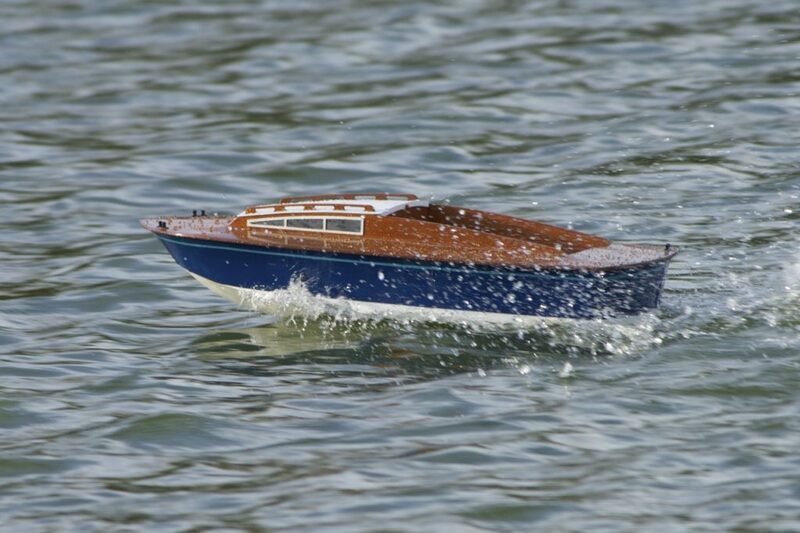 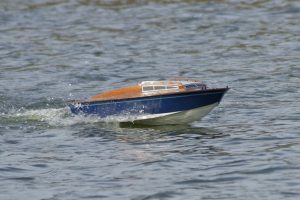 In total 32 boats were built (information: Fairey Owners Club). 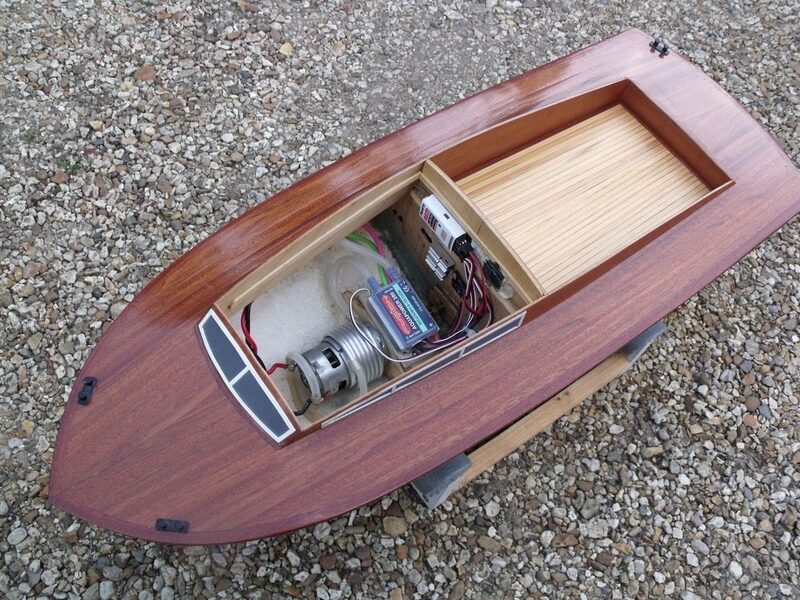 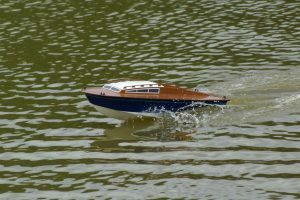 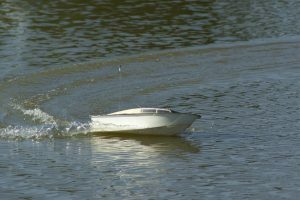 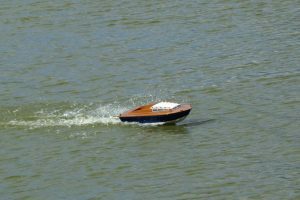 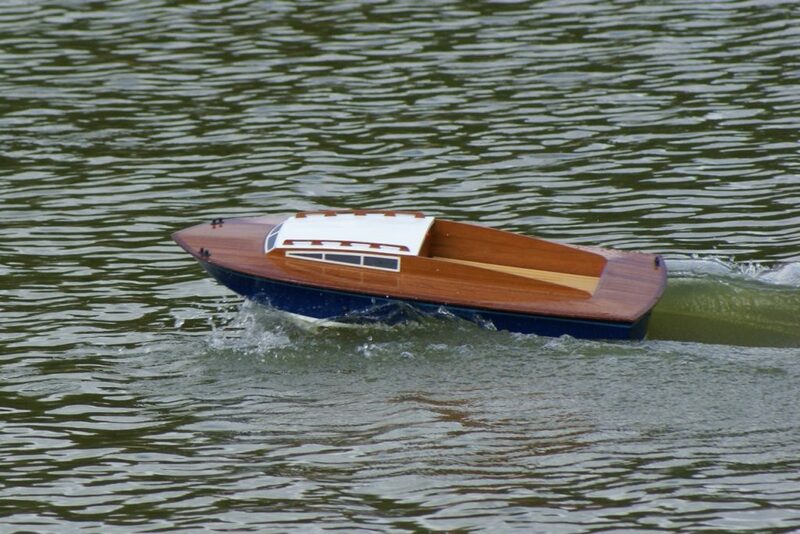 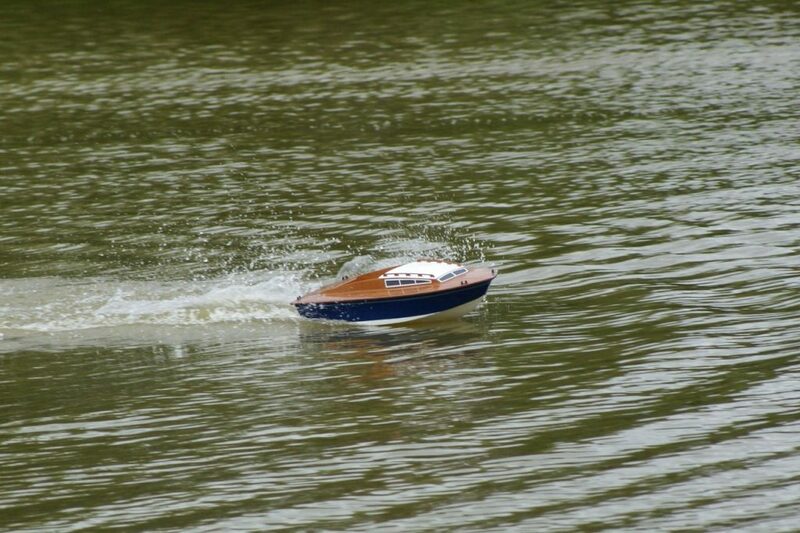 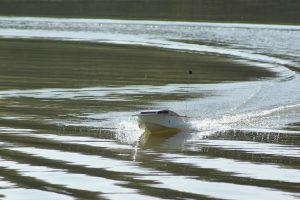 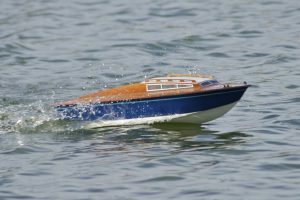 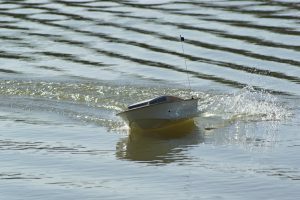 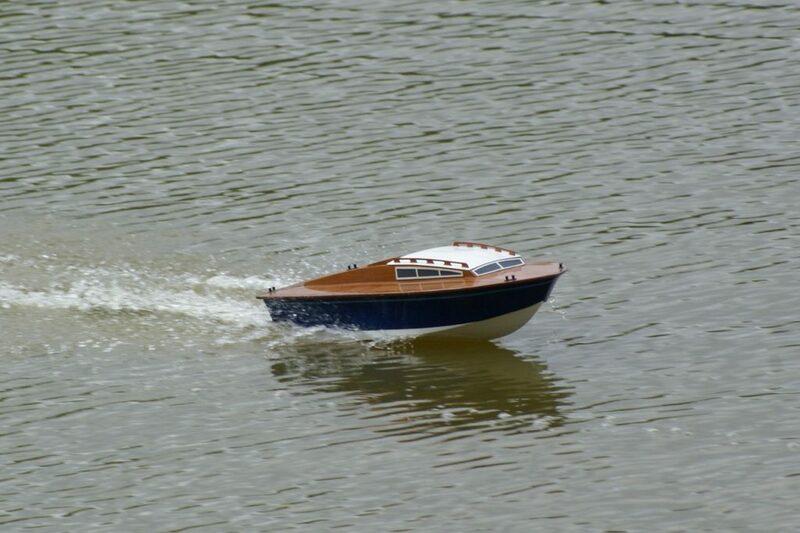 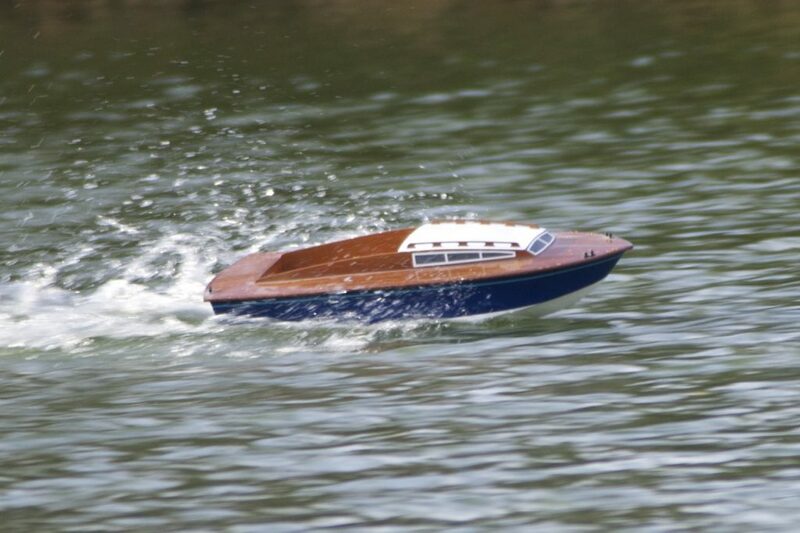 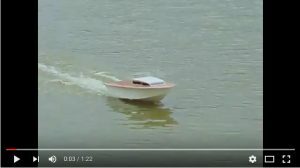 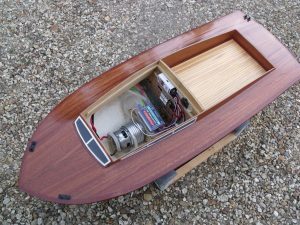 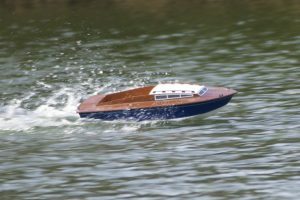 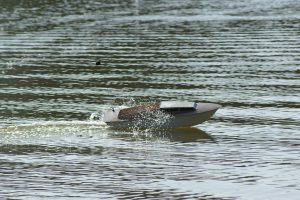 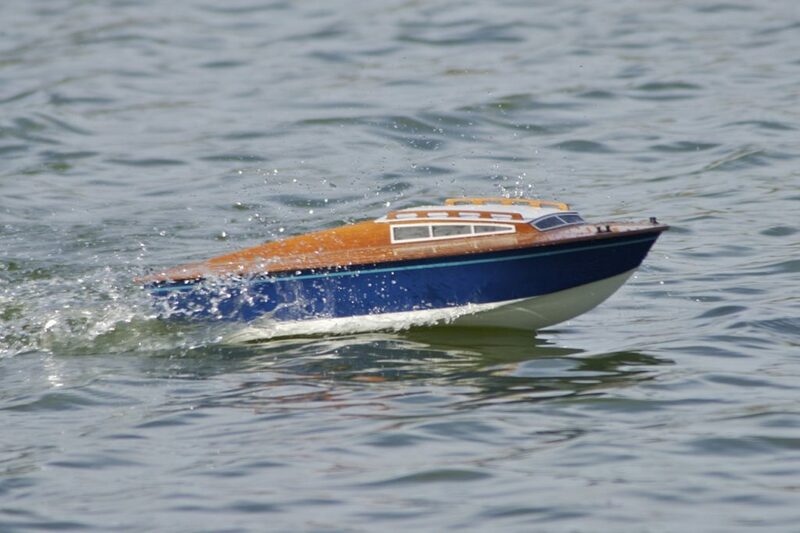 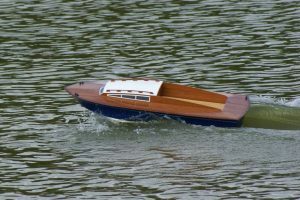 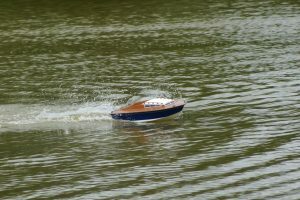 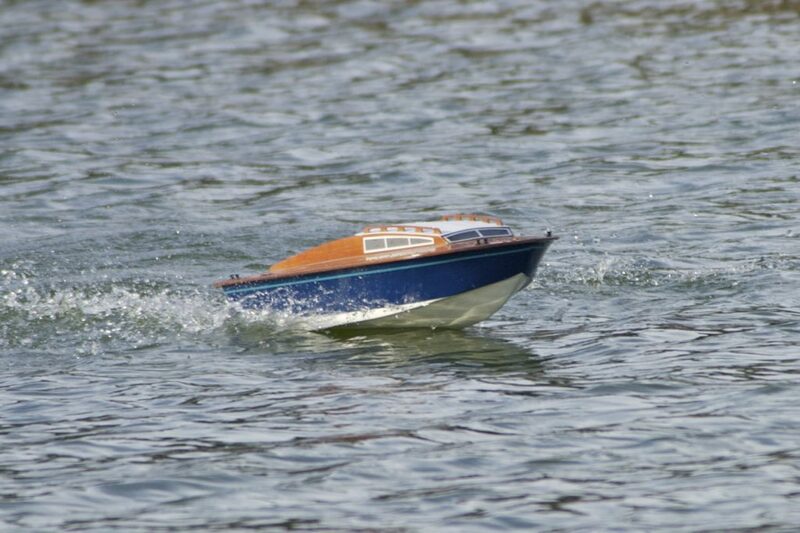 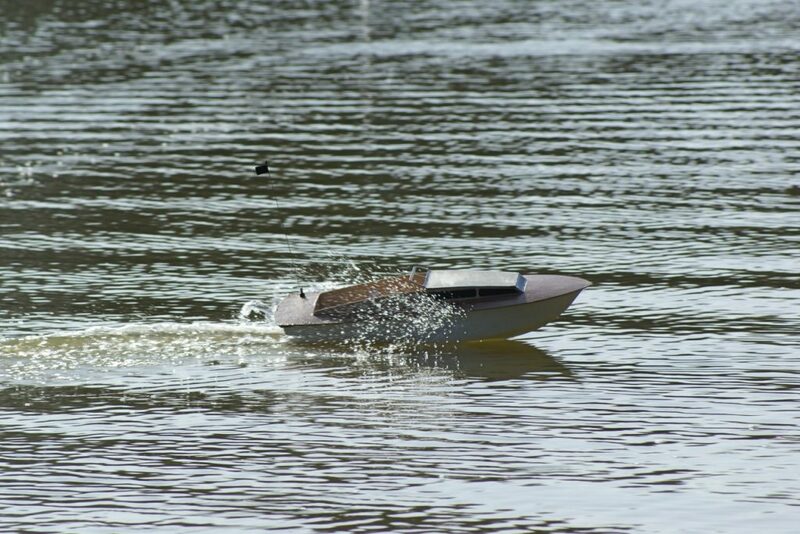 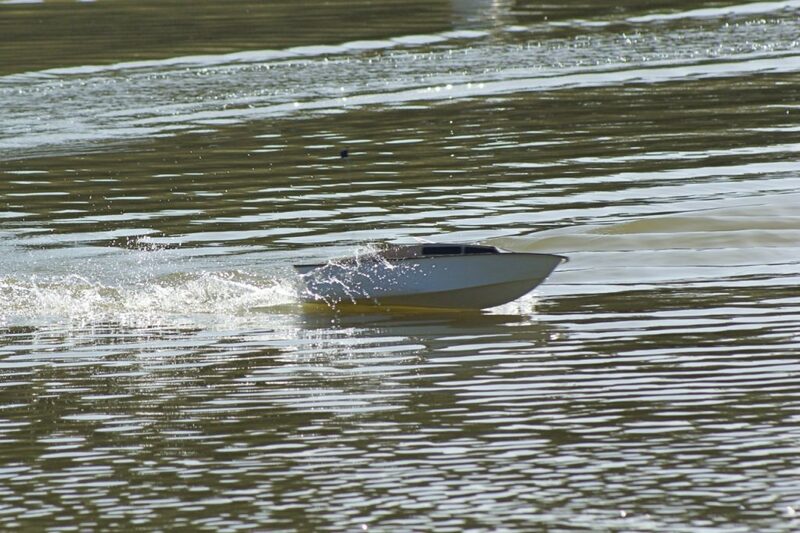 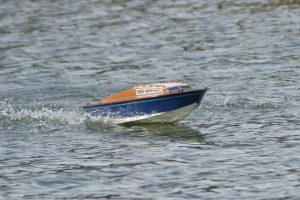 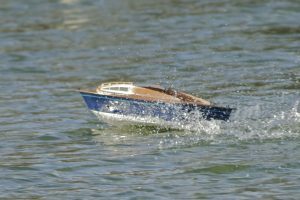 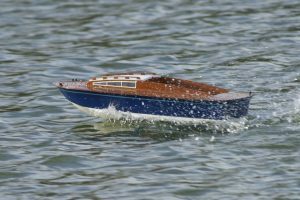 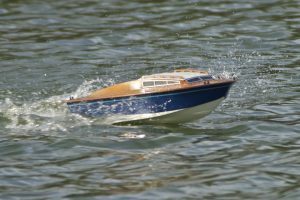 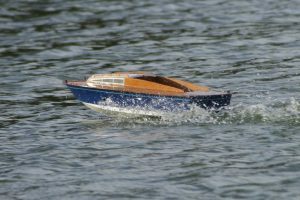 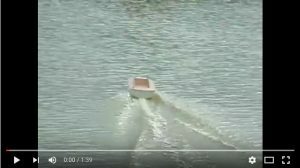 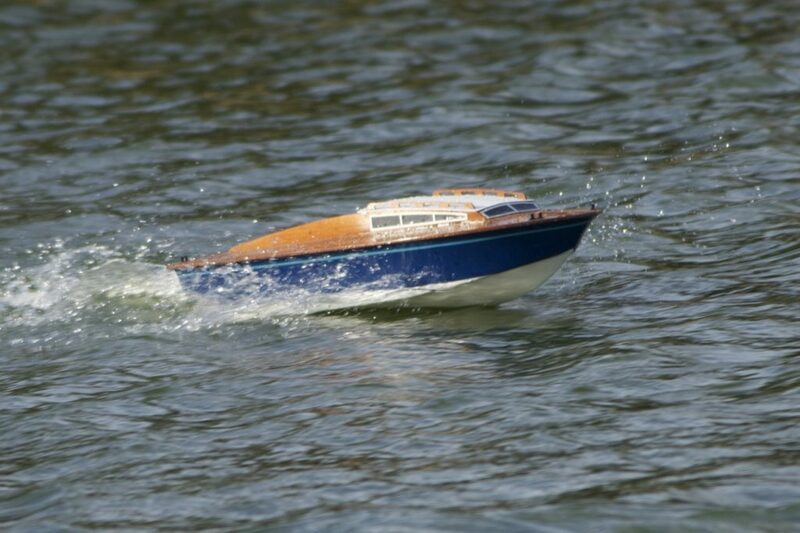 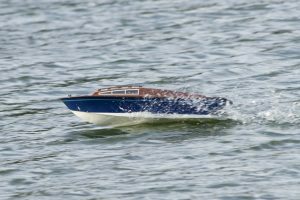 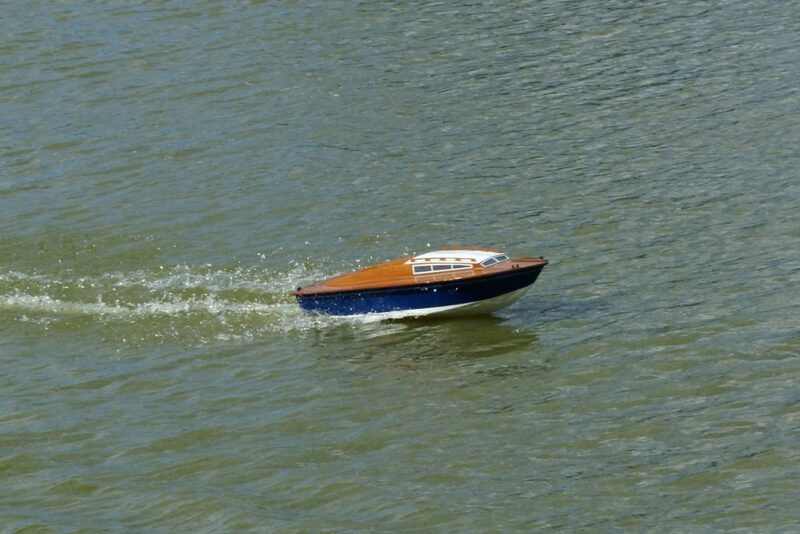 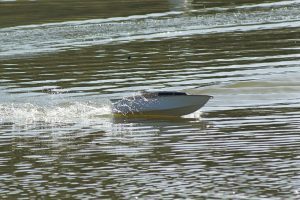 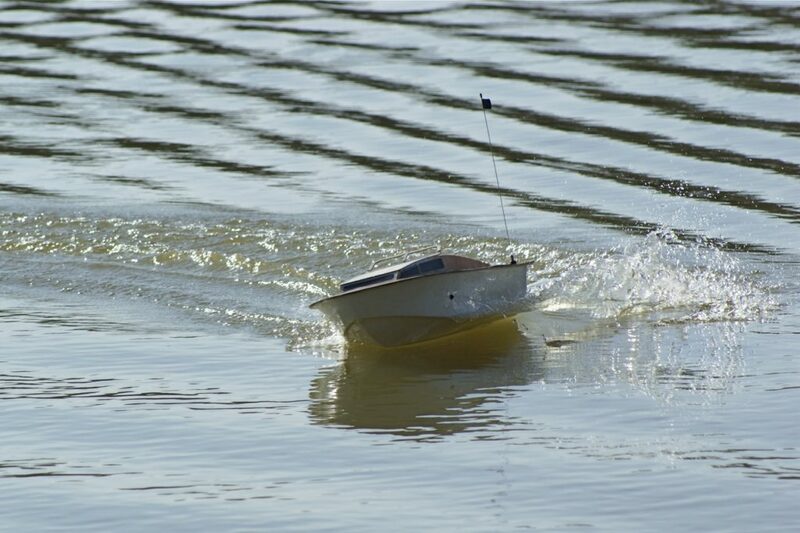 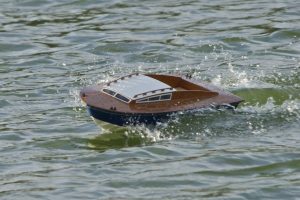 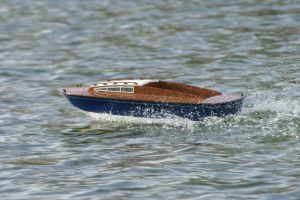 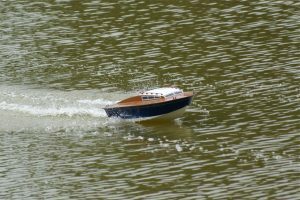 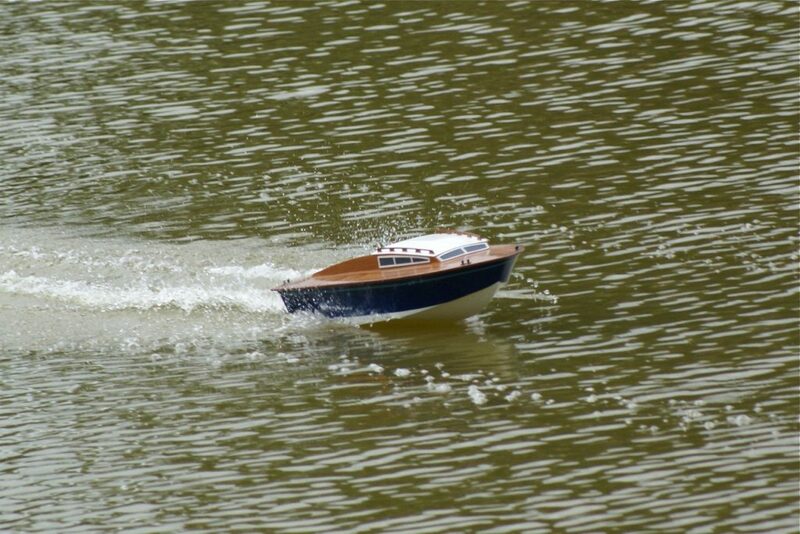 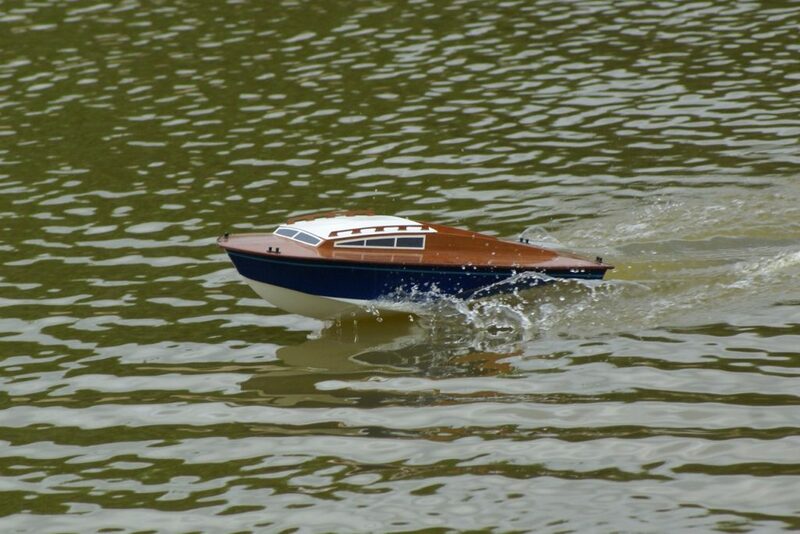 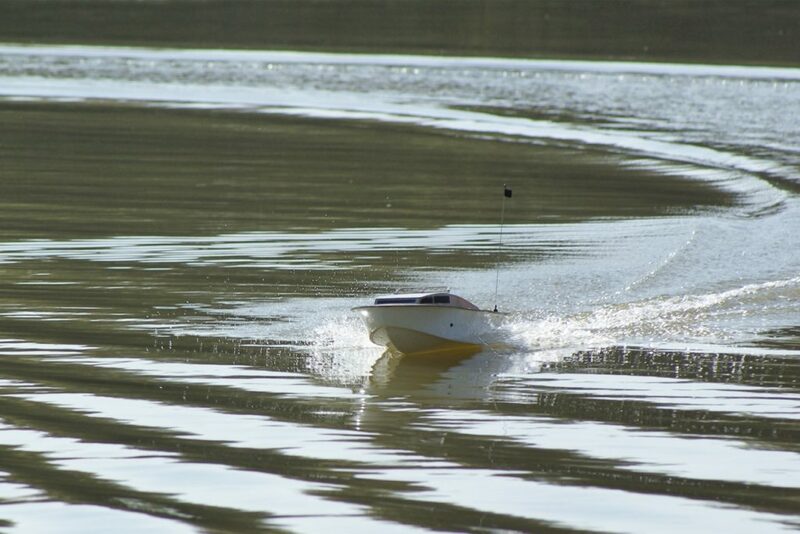 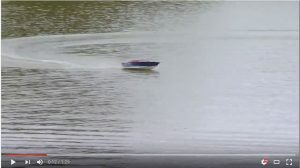 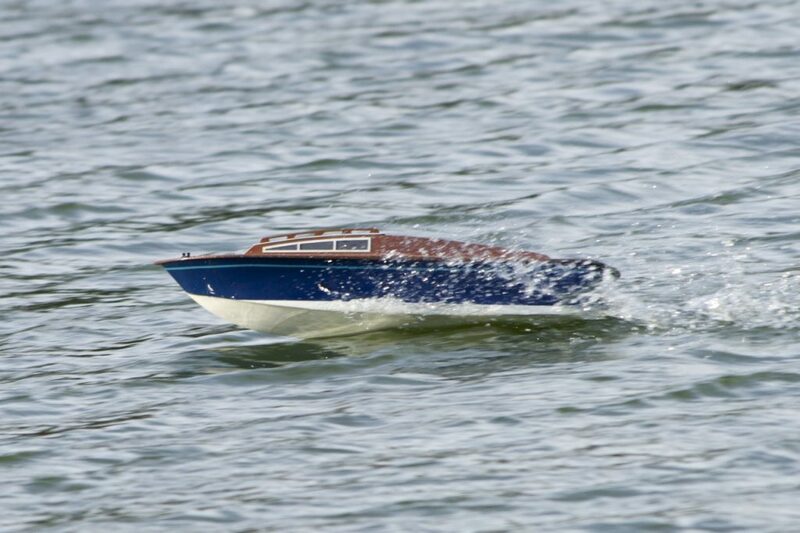 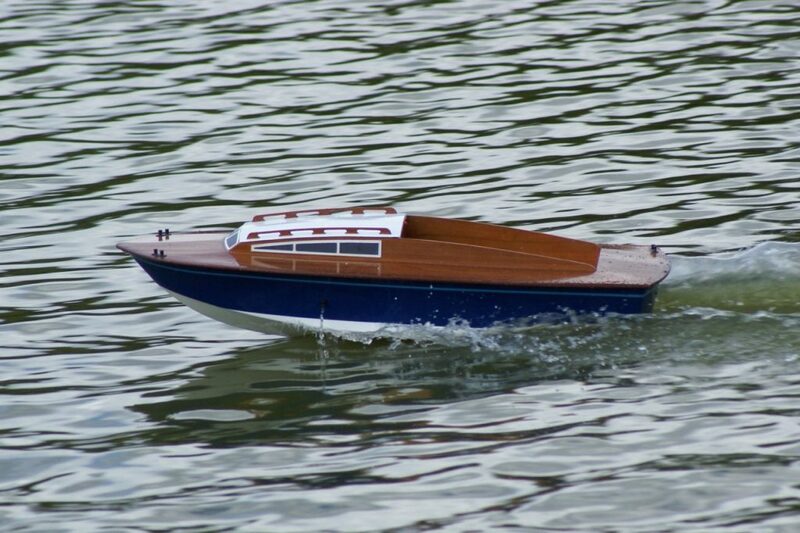 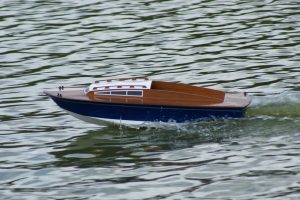 Alan Bond’s Huntsman has a 28″ fibreglass hull, fitted with a water cooled Speed 700 Turbo 9.6v motor running on NiMh batteries (12 cells) controlled from a Sea Sprint 35A water cooled ESC.